The Philippines’ mobile internet connection speed averaged 9.49 Mbps in the last quarter of 2017, according to the latest State of LTE report by mobile operator analyst OpenSignal. That means 4G connections were slightly faster in the last quarter of the year, being 15 percent higher than the third quarter’s average speed of 8.20 Mbps and 10 percent more than the first quarter’s average speed of 8.59 Mbps. 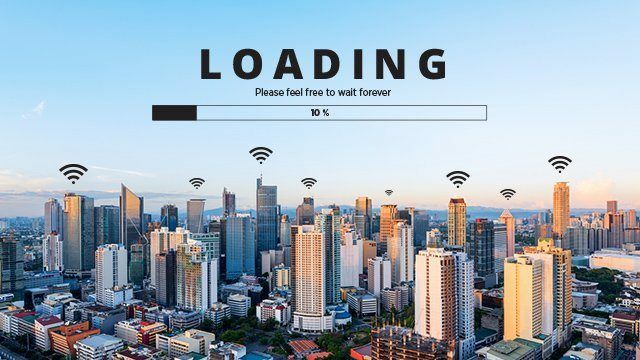 However, the Philippines still has one of the slowest mobile connections in the world, with its 9.49 Mbps average far below the global average of 16.9 Mbps. It is the second slowest of the nine Southeast Asian countries included in the report, better only than Indonesia where the average mobile internet speed was 8.92 Mbps. The Philippines also finds itself the second lowest in Southeast Asia in terms of 4G availability, which OpenSignal defines as “how consistently accessible 4G networks are in each country.” While the Philippines’ 4G availability has also improved in 2017—measuring at 63.73 percent in Q4 2017 as compared to 52.77 percent in Q1—it is still considered below average, as OpenSignal notes that a bulk of the countries they measured had 4G availability ranging from 65 to 85 percent. The Philippine government has attributed the country’s poor internet infrastructure to the lack of competition in the telecommunications industry. It is moving to attract a third major telco player to remedy this, with the Department of Information and Communications Technology releasing a circular last February 19 outlining the obligations that the new player must follow. Singapore took the honors of having the fastest mobile internet speed in the world in Q4 2017, averaging at 44.31 Mbps. In terms of 4G availability, South Korea topped the list, with its LTE connections being accessible 97.49 percent of the time. For its latest State of LTE report, OpenSignal analyzed mobile connection speeds and the availability of 4G networks across 88 countries. Its data was processed from over 58 billion measurements made across over 4.8 million devices, which were gathered from October 1 to December 29, 2017.